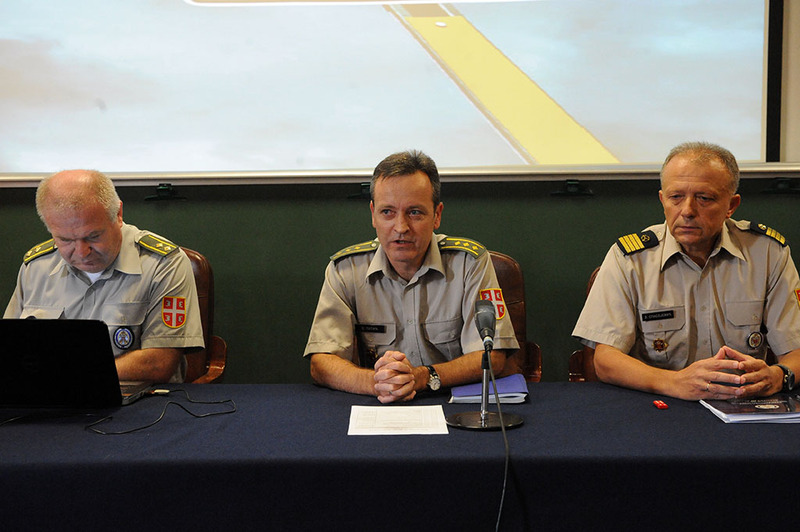 A seminar on the nomenclature of the funds used by the Ministry of Defence and the Serbian Armed Forces was held today in the Department of Material Resources, organized by the Directorate of Standardization, Codification and Metrology of the Department of the Defence Technology. The seminar was attended by 35 representatives of all the tactical and technical carriers and holders for development of arms and military equipment. The cause for gathering was to define further direction of the nomenclature system resources on the basis of the review of the situation and the exchange of experiences. This includes the development of information system of nomenclature that includes management and automated processing of nomenclature parameters, the possibility of its use and integration with related information systems at the MoD and SAF. The work of the seminar was headed by Colonel Zoran Spasojevic, Director of the Directorate of Standardization, Codification and Metrology, who spoke about the condition and the main tasks in the coming period. Among the many topics that were discussed at today's seminar, what stood out were the issues related to staff training of tactical and technical providers, access to the nomenclature base and the provision of technical documentation that is necessary in reporting funds. It should be noted that the Ministry of Defence and the Serbian Armed Forces apply simultaneously their own system of nomenclature of funds and they easily adopted the NATO codification system, owing to the fact that the nomenclature was based on similar principles as the NATO codification.